While passing by the cemetery on campus one day, I noticed a few little sprouted saplings with very particularly-shaped leaves. I got very excited when I moved in closer and saw the definitive “mitten” shape of some of the leaves. I pinched one and sniffed, smelling a strong spicy aroma almost immediately. I knew at that point I was dealing with sassafras. Sassafras is one of those herbs that you can’t avoid in the South. It grows in all sorts of adverse environments: roadsides, hedgerows, waste spaces, etc. It can be short and bushy in its early years of development, but becomes a full-sized tree given enough time. The roots and bark have long been used in culinary and medicinal applications. If you’ve ever had a root beer, there’s a chance that you have tasted this plant, as sassafras and sarsaparilla were the two primary flavors in that drink for a long time. In recent years (since 1960), active ingredient in sassafras, called safrole, has been officially banned by the USDA as potential carcinogen. 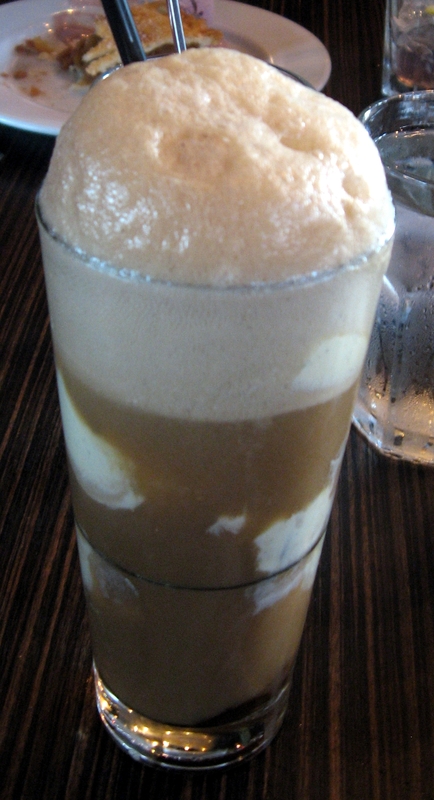 So most of the root beer sold now uses artificial flavors to reproduce the sassafras and sarsaparilla taste. The leaves of sassafras also feature in Cajun cooking; dried and powdered, they become file powder, which is used to thicken stews like gumbo. Medicinally, sassafras is a tricky root to use. According to botanical.com, “Oil of Sassafras is chiefly used for flavouring purposes, particularly to conceal the flavour of opium when given to children. In the United States of America it is employed for flavouring effervescing drinks…Aromatic, stimulant, diaphoretic, alterative. It is rarely given alone, but is often combined with guaiacum or sarsaparilla in chronic rheumatism, syphilis, and skin diseases.” It also seems to have a strong effect on women’s reproductive systems, easing menstrual pain, but also potentially causing abortions. Several health problems have been connected to consuming overdoses of safrole, including vomiting, collapse, pupil dilation, and cancer. WARNING! Consult a physician before taking ANY herb or root internally! Sassafras is NO EXCEPTION! “Sassafras is a wild plant that grows in the Appalachians…The spicy, distinct flavor of sassafras makes the tea a popular beverage, served hot or cold…Pearl told us that she could gather roots any time of the year without affecting the taste of the tea. However, the roots should be gathered young, so they will be tender…She chops the roots from the plants, then washes the roots in cold water. Next she scrapes off the outer layer of bark and discards it. Either the roots or the bark can be used in making the tea, but Pearl prefers the roots. They can be used dried or green. She brings the roots to a boil in water. The longer they are boiled, the stronger the tea. To make a gallon of tea, she boils four average-sized roots [which appear to be about a foot long and an inch thick] in a gallon of water for fifteen to twenty minutes. She then strains it, and serves it either hot or iced, sweetened with either sugar or honey” ( p. 444). While the safrole content of the tea is relatively low, again you should consult with a physician before drinking this tea. “Jam a silver dime into an alligator foot [available from Lucky Mojo and other botanicas and curiosity shops] so that it looks like the ‘gator is grabbing the coin. Wrap it tightly with three windings around of red flannel, sprinkling sassafras root chips between each layer as you wind, and sew it tight. Just as the alligator foot holds the coin and won’t let go, so will you be able to save instead of spend” (p. 179). Sounds like a pretty wonderful charm to know, in my opinion. I’ve not seen anything particularly about burning sassafras as incense, but I did find a book called A Collection of Folklore by Undergraduate Students of East Tennessee State University edited by Thomas G. Burton and Ambrose N. Manning which records a bit of superstition claiming that bad luck comes if you “burn sassafras wood” (p. 74). The lore in this particular collection is all from first-hand sources, so I tend to think it’s got some weight. A similar folklore collection from Kentucky elaborates on this point, saying, “If you burn sassafras wood or leaves, a horse or a mule of yours will die within a week” (from Kentucky Superstitions, #2993). I tend to think this refers to burning wood in a fire or fireplace as opposed to using a little bit of it as incense, but take your chances as you see fit. Particularly if your horses or mules are dear to you. I hope this post has been of some use to you! 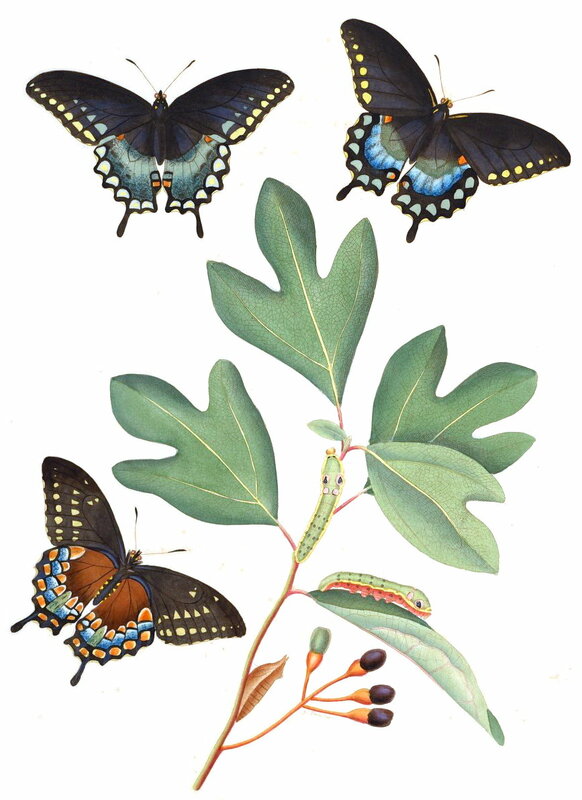 Enjoy the slowly waning summer, and get out in the woods to find some sassafras and other plants! For my 50th blog post, I thought I’d do something special, something that really tickles my fancy. I’ll be talking about the various types of witch initiations found in New World folklore. I’ve already touched on this in Blog Post 45 – Witches, but today let’s expand a little bit on the concept. “Now say you’re going to be a witch. Okay, now I don’t know where you get ‘em, but they call e’m the little Black Bible. Take that little Bible and you go to a spring where it’s a-running from the sun…not towards the sun, away from the sun…Take that little Black Bible and go to that stream, strip off, and wash in there—take a bath in that water—and tell God you’re as free from him as the water on your body” (Signs, Cures, & Witchery, p. 162). “If, through a pact, the devil is granted your soul in exchange for some talent, gift, or magical power, it is thought that he then receives some gift of the body in return. This could be a fingernail or even a withered finger” (SC&W, p.164). Such a “sacrifice” is not uncommon in witch-lore, with the physical offering being anything from a bit of blood to sign a pact to a body part like a finger or toe to—at the extreme end—the death of a loved one. This is a story commonly applied to many chthonic cult deities or spirits. Santa Muerte in the Latin-American magical traditions has also been accused of this sort of thing. “She [Granny, the narrator of the tale] began: ‘I’ve been told thet annuder way to git to be a witch is to fust go to the top of a high mountain, throw rocks at the moon and cuss God Almighty. Then, go find a spring where the water runs due east. Take a brand new knife and wash hit in the spring just as the sun rises. Say, “I want my soul to be as free from the savin’ blud of Jesus Christ as this knife is of sin.” Do this fer twelve days in a row. Effen on the thirteenth day the sun rises a drippin’ blud, hit’s a shore sign thet you’re becomin’ a witch’” (TSB, p. 11). As this plate is of grease’ (TSB, p. 24). This, to me, bears a strong similarity to the dirt-and-plate version of the ritual outlined in Signs, Cures, & Witchery. Widows were the best candidates for becoming witches, as they only had to learn “the Devil’s language,” whatever that might be. “I am told, by women who claim to have experienced both, that the witch’s initiation is a much more moving spiritual crisis than that which the Christians call conversion. The primary reaction is profoundly depressing, however, because it inevitably results in the death of some person near and dear to the Witch” (OM&F, p. 268). In this case, the lost loved one is called a “Witch’s sixpence,” and is the “price” paid for the witch’s powers. This is not a universal belief, however, as many witches do not lose anyone close to them, and instead gain a new friend: the familiar, fetch, or imp. I’ll be doing something more extensive on this aspect of witchcraft in the future, so for now, I will just say that the familiar of the witch is a big subject with as much (often conflicting) information floating around about it as, well, the subject of initiation. Finally, here are some examples of witch-induction from Kentucky. I’ve gleaned these from the book Kentucky Superstitions, by Daniel and Lucy Thomas. These are similar to other folkloric initiation ceremonies already discussed, with the exception of the last one. The inclusion of the spinning wheel here is interesting to me, because it seems to be connected to an idea I find very witchy: the threads of Fate. It also reminds me of the Irish folktale “The Horned Women,” which is a story I glean much in the way of witchery from. In this case, the wheel’s turning is much like the rising of a bloody sun—it provides an omen that the witch has been accepted into the fold of witches before her. So what do I make of all of this? Well, my own opinion (and I stress that it is only my take on the phenomenon of witch initiations, and no one else’s) is that each of these stories contains little pieces of initiatory lore, but always with a layer of sensationalism on top. These folk tales were intended to amuse and spark curiosity, after all, so it doesn’t surprise me that a small offering of blood, say on an new witch’s cingulum or a few drops in a cup of wine poured out to the god, gods, or spirits to which the witch is binding herself, has become exaggerated into the death of a family member or the withering of a limb. I think that initiations have a profound impact on those that undergo them, and that many of the common elements (the renunciation, the vow to serve a witch-god/goddess/devil/etc., and the granting of magical gifts like certain charms or familiars) are profound acts that may well belong in an initiation ceremony. Many of these features are also found in other initiation ceremonies and Traditional Witchcraft works, such as Paul Huson’s Mastering Witchcraft or Nigel Jackson’s Call of the Horned Piper. I also think that some elements are overlooked in these sorts of folkloric imaginings of “witch-making”. For instance, one thing Sarah at Forest Grove mentioned in her post on initiations is that once one becomes a witch (or takes initiation), one finds “Growth and strength of abilities and experiences the more one practices and keeps their promises.” Most stories about witches seem to either end at the oaths taken upon becoming a witch, or to start in medias res of a witch’s career, showing a witch operating in one way, unchanging, until she is (inevitably) defeated. That makes for good storytelling, but perhaps not for so much good practical witchery. Witchcraft is wonderful in that the more you do it, the better it gets! In the end, I like this topic, but I should say one more thing. I don’t think that a person-to-person initiation is necessary to practice witchcraft. If you’ve not taken an initiation, or don’t ever plan to, but find you are good at witchcraft anyway, keep doing it. You certainly don’t need anyone to validate your magic if it’s working, and if whatever forces you draw your magic from one day choose to initiate you, I have a feeling that much like Don Corleone, they’ll make you an offer you can’t refuse. My apologies if this post has been overlong, but I hope it’s useful to somebody out there. If nothing else, you’ve worked out your scrolling finger for today. All the best, be well, and thanks for reading!